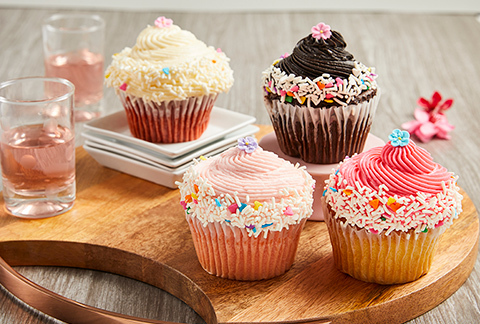 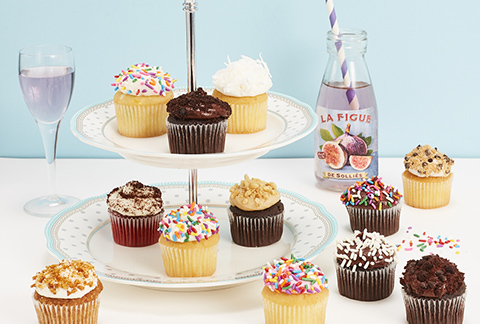 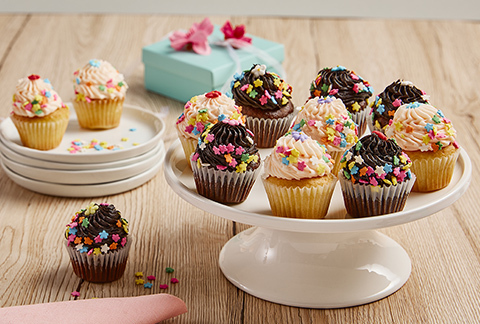 This delightful set of mini cupcakes is straight out of a fairy tale. 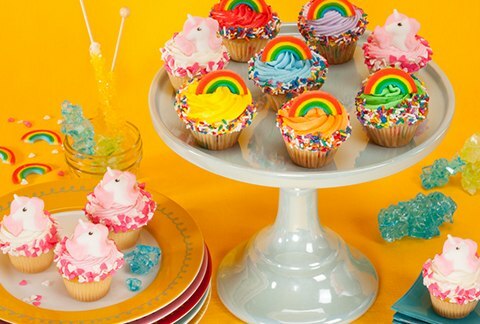 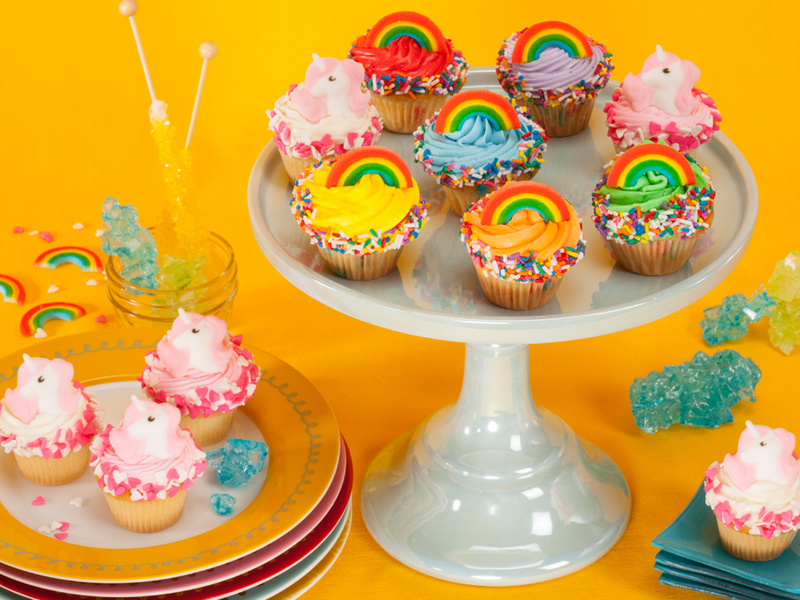 Cupcakes come in chocolate, vanilla and confetti flavors with whimsical rainbow frostings and, rainbow decorations escorted by a team of adorable unicorn decorations. 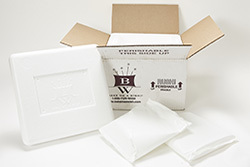 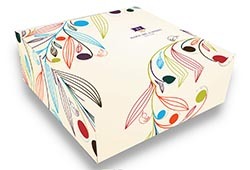 Includes the greeting card of your choice!